Buying a new Alfa Romeo with the fresh engine and driving it is simply the feel of extreme comfort and smoothness. But what happened when your Alfa Romeo fails to produce engine power and the efficiency that it was giving at the time of purchase? Should you again buy a brand new car or going for its repair? Well the new car option is costly and repairing also gives you heavy expenses, but still you have no guarantee whether it works perfectly or not. What to do now? Don’t worry, Engines4sale.co.uk has the right solution for your problem. Here, you can buy used Alfa Romeo diesel engines, Alfa Romeo petrol engines or Alfa Romeo reconditioned engines at competitive prices. We also offer fastest, reliable and trusted Alfa Romeo engines supply and fit services at cheapest prices. To make it sure whether buying a used Alfa Romeo engine is the right choice for you or not? We are always available with top notch less used Alfa Romeo engines with guaranteed low mileage usage. Used Alfa Romeo engines for sale is going to be your best choice and we are proud that our customers feel happy and satisfied after buying used or reconditioned Alfa Romeo engines from us. With the efforts of our qualified engine mechanics and professional Alfa Romeo used engines engineers, we are 100% confident on providing the best quality secondhand Alfa Romeo engines for sale. Engines for Sale is the only used engines selling platform that offers the best quality engines with engine supply and fitting service. Not only this, the matchless part is our offered engine fitting charges. Simply drive your car to our partners’ state of the art garages. Here we fully examine your Alfa Romeo engine and guide you what is the best for you. Our engine fitting staff is smart and they know how to work accurately. Our used Alfa Romeo replacement engine time is very less. If you feel that your Alfa Romeo is not in a position to drive it to us, it’s not an issue. Just let us know as we are happy to solve your problem by delivering used Alfa Romeo engine to your doorstep and also offer its fitting service too on demand. It is sure that when you indulge in a situation where you are facing your Alfa Romeo engine failure, you will definitely search the market. Let’s not waste time anymore. We save your time and money. 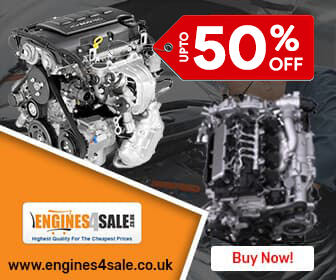 Come and buy any used or second hand engine from engines4sale.co.uk and bag the discount right up to 35%. Our prices are matchless. That’s why people trust on us and most of our customers have become our returning customers. So don’t miss the chance to buy Alfa Romeo engines for sale at the lowest prices in UK. 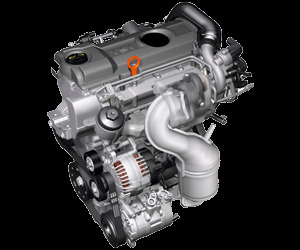 To give full satisfaction to our customer and to build a strong trust is the main focus of Engines for Sale. That’s why we have the pool of the most experienced and qualified engine fitters and engineers who deliver their best to give you excellent working used Alfa Romeo engine. Not only this, we also offer a standard warranty on sale of every 2ndhand Alfa Romeo engine. The warranty time depends upon the price and the condition of the engine. So, what you are waiting for? Come and get the best used engine for your Alfa Romeo.